Open source feature selection is subjective. I’d like to say that it’s really objective and that we vote on features and look at what carries the most interest of the populace. Actually no I wouldn’t. I don’t think I would enjoy working on open source (OSS) as much if it someone else decided on what features I should include. It already works that way at work. I don’t want to come home from work and work on things that others decide for me unless I’m being paid for those features. So how do I decide on features for our open source projects? I think there are at least three paths to feature selection and they are not necessarily mutually exclusive. Your product, in whatever domain it is in, needs to have the basic set of features that make it answer the needs of that domain. That is different for every product, but if you take for example a build tool, at the very least it needs to be able to compile source. And these basic needed features are not always objective either. Two people could completely disagree what makes for a required feature to meet a domain need for a product. Even one person may disagree with himself/herself about what features are needed based on different timeframes. So that leads us down to subjective. Some features go in because the competition adds a feature that may draw others away from your product offering. With OSS, there are all free alternatives, so if your competition adds a killer feature and you don’t, there isn’t much other than learning (how to use the other product) to move your customers off to the competition. If you want to keep your customers, you need to be ready to answer the questions of adding the features your competition has added. Sometimes it’s about adding a feature that your competition charges for, but you add it for free. That draws people to the free alternative – so sometimes that adds a motivation to select a feature. Sometimes it’s because you want those features in your product, either to learn how you can answer the question of how to do something and/or because you have a need for that feature and you want it in your product. That also leads us down the road to subjective. I decide on features based on what I want to see in the product I am working on. Things I am interested in or have the biggest need for usually get picked first, with things that do not interest me either coming later or not at all. Most people get interested in an area of OSS because it solves a need for them and/or they find it interesting. If one of these two things is not happening and they are not being paid, it’s likely that person will move on to something else they find interesting or just stop OSS altogether. OSS feature selection is just that – subjective. If it wasn’t, it wouldn’t be opinionated and it wouldn’t have a personality about it. Most people like certain OSS because they like where the product is going or the personalities behind the product. For me, I want my products to be easy to use and solve an important problem. If it takes you more than 5-10 minutes to learn how to use my product, I know you are probably going somewhere else. So I pick features that make the product easy to use and learn, and those are not always the simplest features to work on. I work for conventions and make the product opinionated, because I think that is what makes using a product easier, if it already works with little setup. And I like to provide the ability for power users to get in and change the conventions to suit their needs. So those are required features for me above and beyond the domain features. I like to think I do a pretty good job at this. Usually when I present on something I’ve created, I like seeing people’s eyes light up when they see how simple it is to set up a powerful product like UppercuT. But remember before you say I’m a bad person or won’t use my product, I’ll always accept patches or I might like the feature that you suggest. If you like using the products I provide and they solve a problem for you the two biggest compliments you can provide are either a patch or a donation. If you think the product is great, but if it could do this one other thing, it would be awesome(! ), then consider contacting me and providing a patch, or consider contacting me with a donation and a request to put the feature in. And alternatively, if it’s a big feature, you could hire me to work on the product to make it even better. What If There Are Multiple Committers? In the question of multiple committers, I choose that someone always makes the ultimate decision to select whether a feature should be part of a product or not. But for other OSS project maybe this is not the case. 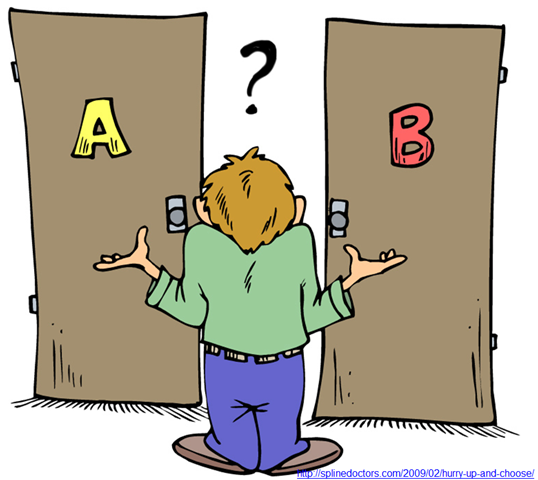 If there is not an ultimate decision maker, then there is the possibility of either adding every feature suggested or having a deadlock on two conflicting features. So let me pose this question. If you work on Open Source, how do you decide on what features to put in your open source projects? How do you decide what doesn’t belong? 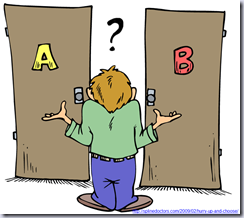 What do you do when there are conflicting features?